The government is creating a new five-week “use-it-or-lose-it” incentive for new fathers to take parental leave. This would increase the EI parental leave to 40 weeks (maximum) when the second parent agrees to take at least 5 weeks off. 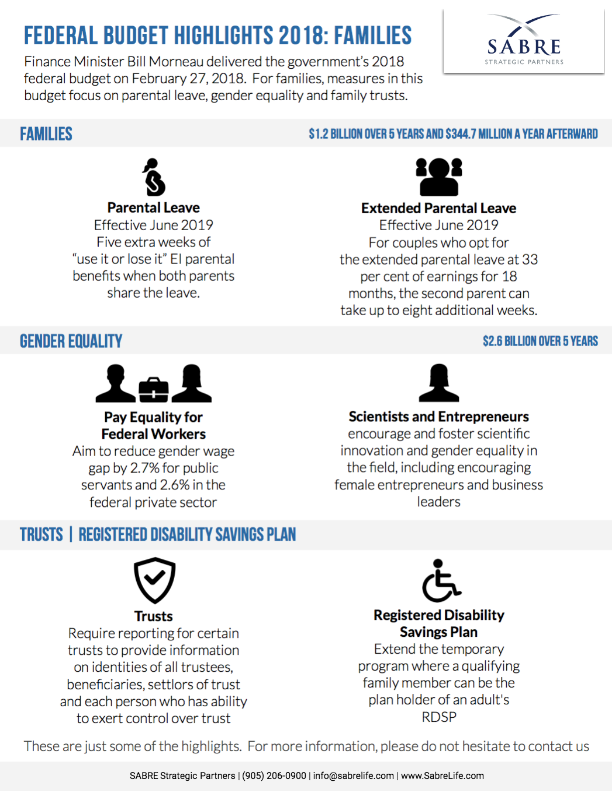 Effective June 2019, couples who opt for extended parental leave of 18 months, the second parent can take up to 8 additional weeks, at 33% of their income. The government aims to reduce the gender wage gap by 2.7% for public servants and 2.6% in the federal private sector. The aim is to ensure that men and women receive the same pay for equal work. They have also announced increased funding for female entrepreneurs. Effective for 2021 tax filings, the government will require reporting for certain trusts to provide information to provide information on identities of all trustees, beneficiaries, settlors of the trust and each person that has the ability to exert control over the trust. 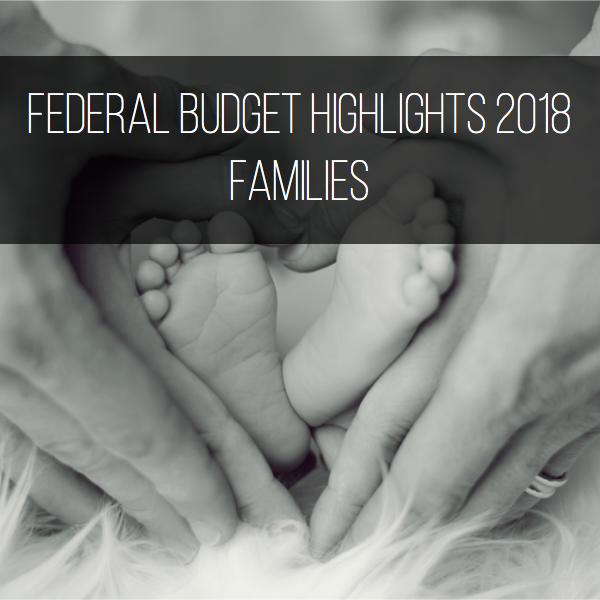 The budget proposes to extend to 2023 the current temporary measure whereby a family member such as a spouse or parent can hold an RDSP plan on behalf of an adult with reduced capacity. If you would like more information, please don’t hesitate to contact us.